Imagine a house, built up on stilts, standing alone on a deserted beach. The waves crash against the shore with each one drawing nearer and nearer to the house threatening to topple the entire structure. The only thing saving the house from being dragged out to sea are the stilts, which are planted firmly into the ground. Similarly, a Muslim has stilts as well that keep him grounded in the Islamic faith and to be a Muslim means that you believe in them all unequivocally. The existence of man and the entire universe is not a mere accident or the product of chance. There is a Higher Authority that exists. The universe and everything that is in it points to the realization of a Creator. God is our Creator, the Sustainer, the Owner of the Universe and its contents, the provider of everything, the Giver of life and the Causer of death. God is the only One who has the right to be worshipped. He created beings and provides for them out of His Love and Mercy. God is unique unto Himself and He is nothing like any of His creations. God’s descriptions and attributes, which are found in the Qur’an and Sunnah, are distinctive unto Him. He is purely transcendental in unfathomable perfection. For the concept of God in Hinduism, please, click herer. God created Angels out of light to carry out specific functions in the Heavens, Hell, and the Universe. Angels are invisible to the human eye unless, by Allah’s command, they take on a physical form. The angels do not have free will of their own and do as God commands them. Angels are a part of the creation just as humans are and should never be worshipped. The most well known Angel in God’s creation is named Gabriel, or Jibreel in Arabic. He is also referred to as the ‘Holy Spirit’ in the book of God and he is responsible for conveying the revelation to the Prophets. The angels are responsible for fulfilling several tasks in this world. For example, every human has two constant companions known as ‘recording angels’ who literally write down all of our good and bad deeds. They keep a record of our lives and we will be called to account from our own ‘book of deeds’ on the Day of Judgment. There are also angels who blow the human spirit into a fetus after the 4th month of gestation while others are responsible for removing the spirit from the body at the time of death by God’s leave. This article of faith refers to belief in all scriptures revealed by God to His Messengers, in their original form. These scriptures form the enlightenment, which the messengers received to direct their people to the straight path of God’s guidance. Muslims believe in all of the books of God mentioned in the Glorious Qur’an: the books of Abraham (Suhuf), the Scripture of Moses (Torah), the Psalms of David (Zabur) and the Gospel of Prophet Jesus (Al-Injeel). However, long before the advent of Prophet Muhammad (peace be upon him), they had all been lost or distorted by later generations over the centuries. This happened because God entrusted the people with protecting these scriptures and they obviously failed. All the revealed books call to the One God and say that He is to be worshipped alone and without partner. However, due to the logistical differences between nations (i.e. time, place) there was some variation in the canonical teachings between the scriptures according to the wisdom of God. Muslims believe that there were hundreds of scriptures sent to mankind that were not mentioned in the Qur’an; however some are mentioned in the Sunnah, or teachings of the Prophet Muhammad (peace be upon him). Each scripture was sent at a specific time and place as history tells us. As mankind corrupted each one, God sent another Messenger to correct the original message and another and another. It’s easy to see that Islam was present throughout history the whole time up until when God finalized His revelation to mankind by way of the Qur’an, which was sent through the Last Messenger Muhammad (peace be upon him). God sent Muhammad on a mission to deliver the message of the Qur’an that would guide all of Mankind until the Day of Judgment. In infinite compassion, God gave us the Qur’an as a reference to lead a pious life that leads back to Him. It is the final word from God and no other message, or messenger, will come. The Prophet Muhammad (peace be upon him) was the seal that closed the long line of Prophets that God sent to mankind. This article of faith addresses the belief that God conveyed His message through selected human beings. These individuals are known as Prophets, or Messengers, and were chosen by God to be walking examples as well as teachers of how the scriptures were to be understood and implemented. They were sinless and the most pious out of all of mankind. God sent to every nation a Prophet to convey the message that God alone was to be worshipped and that anyone who associated others with Him in divinity or worship was committing the single unforgivable sin which is the ultimate treason against our Creator. They also taught the Law of God which all humans should follow to the best of their ability. The Qur’an mentions the names of only twenty-five of the Prophets while stating the fact that many others were not mentioned by name. The first of these prophets was Adam and the last was Muhammad (peace be upon him). Every Prophet was sent to a specific people for specific periods of time except Prophet Muhammad (peace be upon him) who was sent to all mankind until the Final Hour. 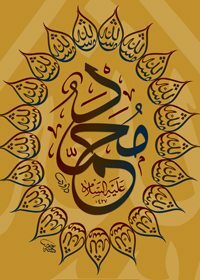 The proofs that Muhammad (peace be upon him) was a messenger of God are abundant; all of which are mentioned in his biography by means of the Qur’an and the Sunnah. The Sunnah elaborates on the Qur’anic verses. It also explains in detail true piety and the best way of worship. These teachings were meticulously collected and reported by the Prophet’s companions (may Allah reward them all). Intuitively, all humans know the difference between right and wrong. God has also sent us books and messengers to further guide us. There is no reason why anyone should be outside the pale of pure faith and righteousness. However, humans must choose their own path in this short life, which will affect their place in the eternal life to come. Belief in the Day of Judgment implants a sense of God consciousness in man’s heart and our personal responsibility compels us to obey God sincerely without compulsion. Predestination means that God alone knows everything. His knowledge is not bound by time as the past, present and future are all known to Him. Everything that happens in this Universe occurs with God’s permission. Nothing can take place against His will. However, God’s prior knowledge does not mean that humans are mere pawns on a chessboard having no choice of where they are ‘moved’ next. Many verses in the Qur’an illuminate man’s free will to choose his path, whether it is good or bad. All humans have a limited free will; however, all will be called to answer for each and every deed. Even though the choices are ours, God already knows what we will choose which is part of His Perfection as the One and Only God.